This past week, Kayak Bass Fishing (KBF) Magazine made its debut. Texan Chris Payne is the man behind the mag, and he deserves a ton of credit for all of his hard work. Creating a magazine from scratch is a tremendous feat, and KBF really impressed. I was thrilled to be able to contribute two articles, both with New England/Northeastern twists. One talks about late spring and summer patterns for fishing topwater baits and the other details my approach to fishing lakes with lots of vegetation during the post spawn phase, which is often when vegetation gets particularly thick. The inaugural issue also featured a hit list of authors - including fellow Wildy pros Jeff Little, Juan Veruete, Alejandro Perez-Arteaga, and Thomas Philippi, as well as number of good friends, new friends, and folks I know via social media. 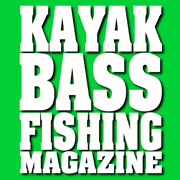 Here is a link to read the magazine, which is free: http://kayakbassfishing.com/kayak-bass-fishing-magazine/. At the bottom of the page is a link to subscribe (also free) to the magazine. Every subscriber helps keep KBF free, so if you like it, please sign-up. If you like to fish for large-mouth bass then you will love kayak bass fishing. One of the best things about kayak fishing is that it can be whatever you want it to be: an afternoon on the lake with a bag of rubber worms, a weekend fishing trip with the family, or an extreme multi-state fishing kayak adventure. Why use a kayak to pursue and catch your favorite game fish? You shared a nice Fishing Magazine into your post. I got a lot of information about Fishing Kayak from Kayak Bass Fishing Magazine. Thanks for share. Here are only a couple tips to recall when fishing for bass from your kayak. There is an unmistakable rush required in getting a bass from a kayak. A bass is an extremely forceful fish and this makes it especially thrilling when landing one from a kayak. Kayak is important for fishing time. 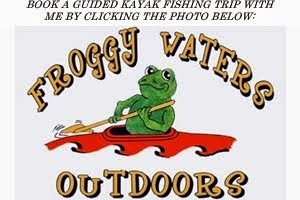 If you succeed your fishing trip you need fishing kayak. This is really a great post about the fishing kayak. We are thinking of kayaking after long time on mountain bike and this post is gonna help us! I loved reading this! I try to just do my own thing on my blog, but it's nice to have people who inspire you when you're just starting out!